The Davis Learning Strategies are designed for teaching reading in MAINSTREAM classrooms. In a pilot study published in 2001, these methods were shown to eliminate the need for special education placement for at-risk students. Strong readers gained stronger language and grammar skills, and weaker students learned to read effortlessly. Gifted education placement from pilot classrooms also far exceeded national averages. A research study published 2001 in America found dramatic change from using Davis Learning Strategies (DLS) in mainstream classrooms: Special needs referrals were eliminated, and gifted referrals quadrupled. DLS is a new method of teaching children how to read, inspired by the Davis Dyslexia Correction methods from Ron Davis' bestselling book The Gift of Dyslexia. It takes only two days of training to make a teacher proficient in using DLS in the classroom. In a pilot study started 1993, eventually including six Californian schools, DLS was shown to have a very encouraging effect. In three classrooms included in a study published in Reading Improvement Journal in 2001, referrals for special needs two years after the introduction of DLS were non-existent. Furthermore, numbers of gifted children in these classrooms were between 10% and 40%, which significantly exceeds the US national average of 5%. Gauteng: In term 3, 2019 (Cost p/p R7,000). Venue to be confirmed. Two elementary (primary) schools in America were in the news for beating all others in their respective regions in 2008. In 2006, Elbert Elementary school's third grade reading scores went straight from the worst to the best of all schools in the Pikes Peak district, Colorado - immediately after 17 staff members were trained in using DLS. The second school in Colorado to hit the headlines in 2008 for using DLS is Walsh Elementary School. This is a small, underfunded school in rural Colorado, serving preschool through sixth grades. They introduced DLS in 2003, and four years later - against all odds - they had the highest reading scores in the state of Colorado, with 89% of the children scoring at or above grade level proficiency. 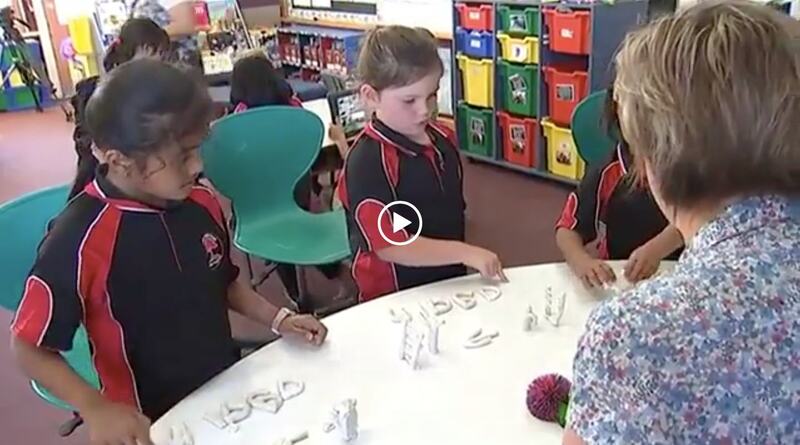 Both parents and staff credit the Davis Learning Strategies as you can see in the below video clip. Waihao Downs School in South Canterbury started implementing Davis Learning Strategies in their school in 2012 and now they are extremely proud of their dramatic improvement in reading and writing levels amongst their students, with 90% scoring at or above national standards in 3rd grade reading. Lalaji Memorial Omega International School (LMOIS) in India has a huge student strength of around 4,500 students. LMOIS currently has one hundred fifteen DLS trained teachers, three DLS Mentors, and two licensed Davis Facilitators in-house. All foundation-phase children are taught reading with a combination of phonics and Davis approach, and they have set up a "special needs" division they call Indigo Section. The school strongly believes that when Davis Learning Strategies is used as a methodology in the regular school curriculum, it helps in bringing about a holistic growth in children. It not only prevents the onset of learning difficulties, but also helps in optimising the potential of all students. Children start to enjoy the learning process and are better able to handle their emotions. After three years of using the Davis methods they have amazing experiences to share. The first batch of eleven students who received instructions through Davis methods when they were in grade-7 have completed their grade-10 exams. Out of eleven students, ten students scored more than 70% marks in their secondary school board exams. The student performance record of the last three years shows that all the children in the Indigo Section improved their reading skills by at least one to two levels every year. Their attention span increased, and they are able to understand the concepts better. Their critical thinking and reasoning skills also improved. They entered the Indigo Section with low self-esteem and a lot of behavioural issues. But they leave the Indigo Section for the mainstream classrooms with amazing confidence, self-regulated and responsible behaviour, and the ability to learn independently.